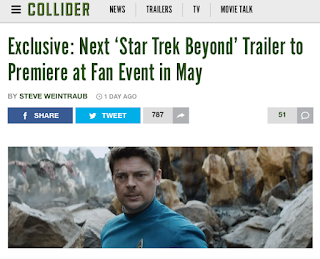 Collider got confirmation that Paramount will be having a fan event in Los Angeles sometime next month to debut a new "Star Trek Beyond" trailer. There was no "Star Trek Beyond" footage shown at Paramount's CinemaCon 2016 panel causing those in attendance to wonder why. 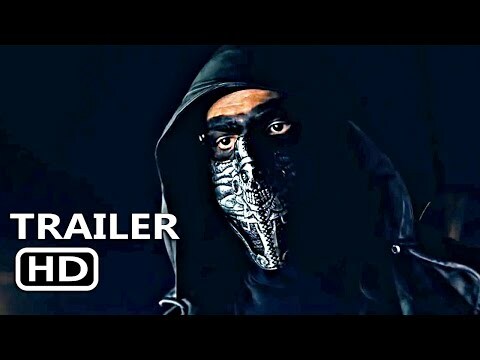 Collider confirmed with Paramount that fans in Los Angeles will have the opportunity to attend an event for the next trailer. The details on the fan event, including how to attend and who from the cast and which filmmakers will be attending the event, were not announced. Read Collider's story by clicking here.